The National Center for Transgender Equality has launched a campaign to end discrimination against trans individuals under the guise of so-called bathroom bills. 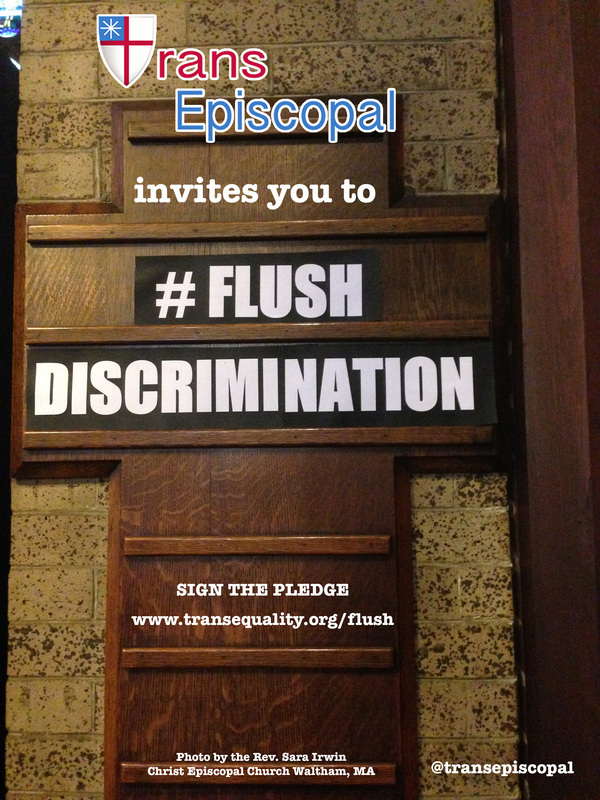 We invite you to join with TransEpiscopal and the National Center for Transgender Equality in opposing these bills. 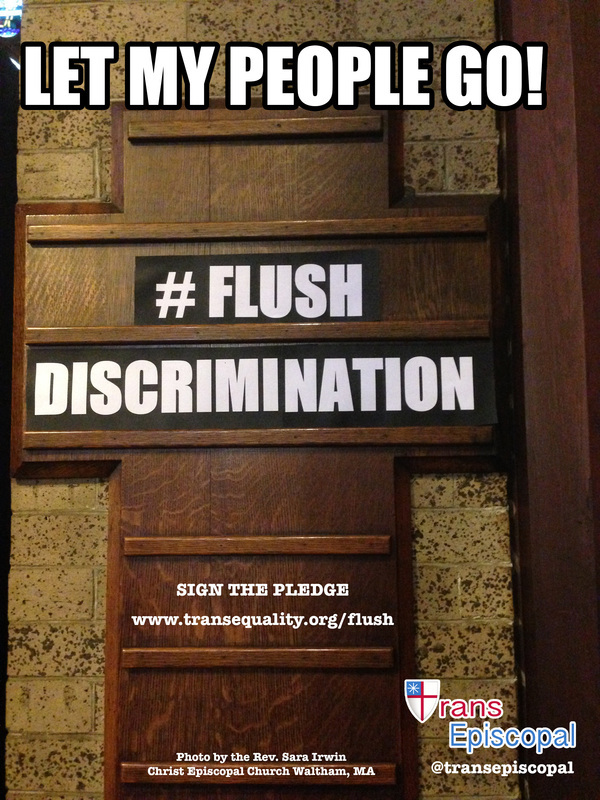 Consider signing the pledge or taking a video or picture of yourself to show your support to #flushdiscrimination. Alternately, feel free to share one of the images below on facebook or twitter to show your support.